Born in 1989, Taiwanese American pianist Steven Lin, was accepted into the Juilliard Pre-College Division on a full scholarship at the age of ten, to study with Yoheved Kaplinsky. A two-time winner of the Juilliard Pre-College Piano Competition, he made his debut with the New York Philharmonic in Avery Fisher Hall at the age of 13. Lin earned both Bachelor’s and Master’s Degrees at The Juilliard School, with Robert McDonald and Matti Raekallio. He continued studying for a Performance Diploma, at the Curtis Institute of Music. Steven won 3rd prize at the 2012 William Kapell International Competition, 1st prize at the 2012 Juilliard School’s Gina Bachauer Piano Competition, and 1st prize at the 2008 International Tang Dynasty Piano Competition in New York. In May 2014, he won the 2nd prize in the Arthur Rubinstein Piano Master Competition. 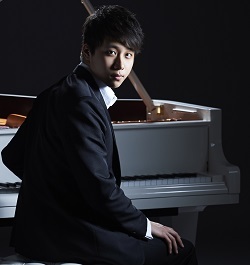 He has performed in France, Ireland, Korea, Japan, and the United States both in recitals and as soloist with orchestras such as: the New Jersey Symphony, Baltimore Symphony, Tulsa Symphony, Orlando Philharmonic and Sendai Symphony Orchestra.